Aly Lessor is the inventor of the Cozy Bug pillowcase dresses that actually grow with your kids. There is a new meaning to one size fits all after you see how Lessor developed this ingenious way for your clothes to grow up with you. Cozy Bug carries a wide range of expandable dresses and jackets, and has sold thousands of bows to go along with their new outfits. Prior to the Shark Tank, the main source of sales has been done online totaling $300,000.00 in just 30 days time. Lessor has continued to expand her line that includes dancing pillowcase dresses on top of an already large list of merchandise. Mark Cuban thinks she is already dominating this niche market and thinks her best strategy is to stay focused on what is selling right now. Lessor wants to concur the world and get into as many markets that the Cozy Bug Brand will allow. Surprisingly the quiet Shark (at least at first) Mark Cuban goes out rather fast after hearing her overall goals for the company. to carry her pillowcase dresses. As hard as she has tried it seems nearly impossible to get her foot in the door. Kevin O'Leary actually like's the Cozy Bug concept and makes Lessor an offer. He will give her the $50k for zero equity in the business, but wants $2.00 from every dress sold until he gets his money back. O'Leary then wants $1 per dress from that point on. He then goes on and tells Aly that he forbids her to make anything other then the dresses and hair bows. If a picture is worth a thousands words then you could write an entire book from the look on Aly's face. She has already clearly stated what her intentions were and money was the least of her concerns. Kevin's offer (as usual) was testing the water to how far she was willing to negotiate. It was Lori Greiners turn and she starts off by mentioning how successful the ShowNo Towel has become after being on the Shark Tank in which she invested in. Lori offers Aly the $50k but wants 30% of the business and guarentees she will get this product out nationwide. Lori says she can make Lessor a millionaire with this Brand, and then turns to O'Leary giving him a smirk as if saying "try to beat that offer". +Daymond John finally breaks his silence and simply says "I'm just going to take the deal". He goes on to say "this is my area and I know I can make you a millionaire quicker". He offers Aly the same offer as Lori and will get the Cozy Bug Brand into stores around the world. After a little bickering between Lori and Daymond, he mentions an interesting bit of knowledge that he has sold over $500,000,000.00 worth of merchandise last year just to Walmart. Ah yes, that is a number hard for anyone to compete against even if you are the QVC Queen. Lori tries to play the girl card and says "who would you want to help you make little girls clothes:? Daymond not to be outdone, replies " I have two little girls and have already sold over a billion dollars worth of girls clothing". Aly knowing she has the two best Sharks on the hook to help her with the Cozy Bug Line tries to see if maybe they would partner up on this deal which would seem like a perfect match. Neither Lori or Daymond has any intentions on making a deal together. Lori wants this deal so bad she pulls out a check and is willing to give it to her right then if Aly will accept her offer. Lori gives her the ultimatum to decide or she may withdraw her offer. This was all Aly needed to hear and instantly accepts Daymonds offer. Very Wise Decision! Aly Lessor and Daymond John were both featured on the CNN Show "Making It In America" last month which confirms that the deal on Shark Tank was indeed completed. Unfortunately Aly has not done much updating on any of the social networks so we may have to wait a little longer to see what direction both Lessor and John will be taking on growing this into a global brand. I found it interesting that she does not follow her new mentor on Twitter but does follow Miley Cyrus and Justin Bieber as some of the few people she chose to follow. I'm not sure what that's all about but it is always interesting to see who is following who especially when the account is tied to a business. I can't be the only one out there that checks those sorts of things. I honestly thought the deal did not get completed just because of this fact and no big mentions after the Show thus far. It's something to think about if you have your business on social media sites these days. Lack of good information (or outdated) could have the exact opposite effect on what you are trying to perceive. I look forward to doing another update on the Cozy Bug Brand when Daymond and Aly start rolling this Brand out across the country. Cozy Bug on The View!!! Cozy Bug creator Aly Lessor and her new partner Daymond John as they chat with Elizabeth Hassleback and Whoopie about Cozy Bug's adorable pillowcase dresses and how they grow with the kids! Nice products and excellent customer service. Pillowcase Dresses have been around for decades! Especially in the South! yes, her story is a great example of how you can start a business with an old idea. So surprised these pillow case dresses were looked at as if they were such a grand novel idea. These dresses have been around for decades and so easy to make. I made them for my daughter which is now 22 . Seems like no one noticed that even the novice seamstress could make them. ummm she stated at the start these have been around THE SOUTH for years. She had the smarts to turn it into a big time money maker. Are you jealous? Oh they noticed they are also very EASY TO MAKE therefore easy to make money on. Wish someone would invest in my business. 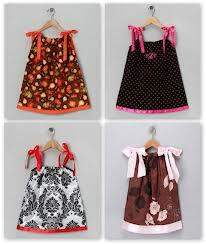 I have 200 pillowcase dresses and hundreds more that I can make. But this would never happen for a single mother in Ky. So ill just keep at it. And sadly I'm cheaper in price. Don't throw a pity party. Go sell some dresses locally. After people buy your product, you can take your sales figures and raise some funds. Go on shark tank yourself, or kickstarter, or go to a bank. Single mothers start businesses all the time. Disappointed she didn't take Lori's offer. Update Cozy Bug is doing very well. Are you kidding me? This style of dress has been around for probably a hundred years. Born out of necessity back when money was scarce. It's just silly, in my opinion. I've been making these for at least 10 years. They take all of a half hour to sew together on a home sewing machine. Who cares how old the idea is? She found a way to make money off it. People complaining about her "idea" are sour grapes. She admitted on Shark Tank that those dresses had been around the South FOREVER! She was smart and made a ton of money on them. If you can make pillow case dresses, that's awesome. What you didn't do was go on Shark Tank and make a deal to become a millionaire.